I promised myself that if I was going to go to grad school—and turn down a well-paying job out of undergrad—then as a consolation, I would buy myself a car with the money I had earned as a summer intern. My only requirement: the car absolutely had to have a sunroof. I'm very thankful for that sunroof. It meant that my regular trips from Santa Barbara to Lawrence Berkeley National Lab revolved around the sun. Correctly timing my departure meant I could open the sunroof and enjoy the California sunshine for five uninterrupted hours as I drove myself and my samples up to Lawrence Berkeley to conduct my Ph.D. research. One day as I set out from Santa Barbara, with the music and news programming I had downloaded to keep myself occupied during my drive, I happened to listen to an article about world hunger. Not thinking much of it, I was on to the next track as I gazed out the window and noticed I was completely surrounded by lush green fields. Interesting timing. The thought occurred to me, "If we are fortunate enough to have these magical seeds you can throw in the ground that passively absorb water and passively absorb sunlight and then produce food (and which, by the way, also self-propagate) ... how are there people on this planet going hungry? How are we screwing this up so badly?" This question gnawed at me for the rest of the drive. I did my undergraduate degree in Materials Science and Engineering at Carnegie Mellon University in Pittsburgh, Pennsylvania, where we studied steel. Steel is a combination of iron and carbon atoms which, upon mixing in very particular ratios, results in a structure that is relatively lightweight and high strength. The combination is so important that historians refer to the period in human history following this discovery as "the steel age." There's just one problem: iron atoms in a chunk of steel like to react with oxygen in the atmosphere to form iron oxide, or rust, which eats through the metal and limits the lifetime of the steel. Fortunately, metallurgists discovered a neat trick to solve this problem, by including a small number of sacrificial atoms into a chunk of iron, for example, chromium or molybdenum. Those atoms will preferentially diffuse to the surface of the iron and react with oxygen in the atmosphere to form a thin oxide barrier surrounding the outside of the iron. That barrier physically occludes further oxygen from reaching the iron surface, thus preventing rust formation. So naturally, the question arose, "If iron is confronted by the same challenges as fresh produce, could we solve the problem in the same way: using a thin barrier to protect produce, just this time one not made of steel?" I talked to a few of my colleagues about the idea. "Sounds like a good idea, bro, but no one wants to eat chemicals." Damn it. This really annoyed me because everything is a chemical; water is a chemical; food is a chemical. Wait, maybe that was it ... I agreed, no one would want to eat "chemicals," but people eat food every day. I double-majored in Biomedical Engineering as an undergraduate, so I pulled out my old biochemistry textbook to see if there were any suitable barrier-forming materials available in the foods we eat already. Lo and behold, I opened to Chapter 11 and right there, staring me in the face, were all the possible molecules you could ever need to create an edible barrier made entirely of food! Five years and almost $8 million in research and development later, we're now beginning to realize that vision. Our team has created the first plant-derived, sustainable and scalable way to protect and preserve harvested produce.  Apeel uses ingredients found in the peels and stems of fruits and vegetables and repurposes them to create a thin, edible, tasteless barrier that can be applied to to fresh produce in order to keep it as close as possible to its as-picked state. The result is a doubling of the marketable and edible lifespan of fruits and vegetables. And we're just getting started. I could not possibly be more proud of the incredible scientific advances made by our team, or more optimistic about what the future holds for our company. I feel grateful every day to have the opportunity to work with such talented people to solve such a meaningful problem in the world. Looking back, I'm reminded of one of the most important things I've ever learned: "It's not important where you start, it's just important that you get started."